Booking credits and time passes are called allowances in Habu. 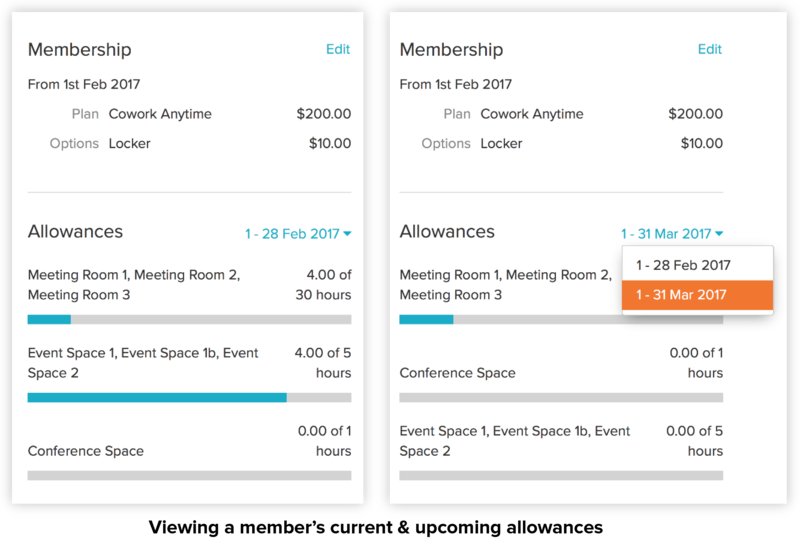 When a member books a space or checks into your hub, Habu calculates whether to create a charge or whether this is can be deducted from allowances on their account. 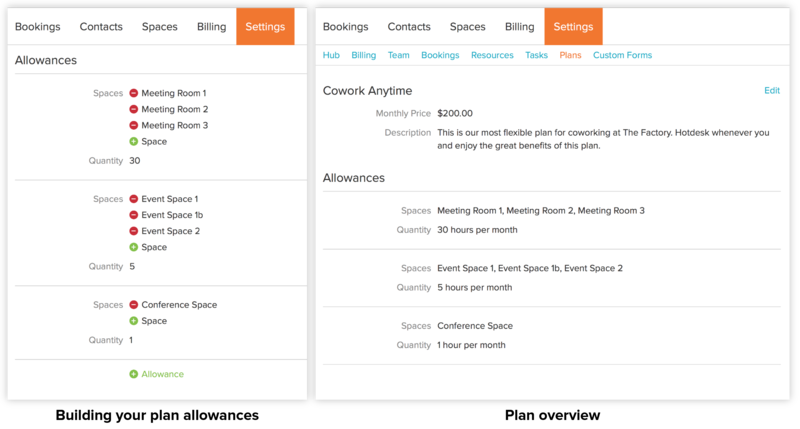 Example: if a user has 1 hour of meeting room use as part of their membership plan and then books the meeting room for 2 hours, then 1 hour will be taken from their allowances and a charge for the remaining hour will be created. When you set up a membership plan you just need to define the amount of time (hours or days) the member gets to use different spaces each month. This works for a single space (2 hours in Meeting Room 1 ) or multiple spaces (2 hours in the Conference Space, Meeting Room 1 and Event Space 1). It can also be used for Flexible Spaces such like your main coworking area (10 days in Coworking Space). In the near future, this will also include options for discounts, time restrictions and unlimited hours. As an admin you can see what allowances have been used by a member when your looking at their profile. You can also see how much of their allowances there using in the coming periods in different periods. Members can check where they’re at with their allowances by using the members app. Everything outside of their allowances will be charged at your standard rate. Member discounts on bookings will be coming soon. Member allowances reset each month (or subscription period) and don’t carry over to the next period. Allowances for active members is the first step for us. Over the coming months it will be will be expanded so that lease holders, team members or indeed any contact may be assigned allowances.